Brother Jesse: What inspired this forum and its theme? 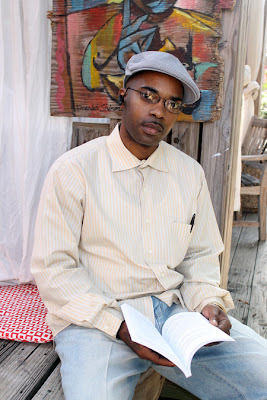 Adon: After filtering the Willie Lynch letter through the teachings of The Most Honorable Elijah Muhammad, it was apparent that the same way we got in this position, is the same way we are going to get out and that is by and through the modern day Black woman with a proper knowledge of our history, self, and war tactics. The theme comes from the Teachings, which is evident. 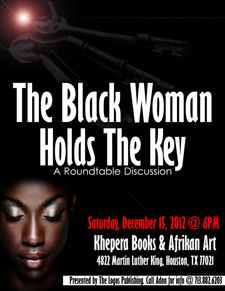 Women (the Black woman) have the most influence and are the "key". Brother Jesse: What specific issues will the panel discuss as it relates to the Black woman? Adon: The divide and conquer tactics used by William Lynch on the Black family, the emasculation of the Black male, the creation of the “Independent Female” along with various solutions. Brother Jesse: Why did you select this particular group of panelists? What are they uniquely bringing to the discussion? Adon: The panelists are people whom I've watched from a distance. They all have a love for truth and the resurrection of their people. They are bringing a range of information from research and experiences and with a deep love for our people. Brother Jesse: Why did you choose to host this at one of the few Black-owned book stores left in Houston? Adon: Brother Khepera is a for real brother and is just getting started. We wanted to support him along with helping him get more exposure about the book store. Brother Jesse: What do you hope attendees will walk away with from this discussion? Adon: We hope they walk away with an accurate assessment of how we got in this situation we are in and some solutions to employ. Brother Jesse: What is the mission of The Logos Publishing? What projects do you all have planned for 2013? Adon: Our mission is to inform and educate through quality literature, forums, and production. We plan on promoting more of our authors’ books along with mobilizing the discussion of the Black woman around the city; with the help of Allah (God). Brother Jesse: Thank you and much success to the event!